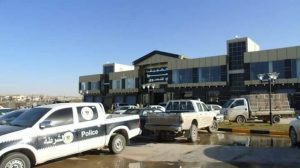 Tarhouna has opened Libya’s first major mall with more than 300 shops almost all of which, say the management, have already been rented out. Local traders see the mall’s opening at a time when Libya is still in crisis, as a vote of confidence in the immediate future. Leading Libyan businessman Husni Bey, who has not taken space in the new shopping area, told the Libya Herald “This is proof that the private sector can flourish whatever the conditions. The sector needs no [government ] direction, it only needs zoning and planning”. He added “Where the government needs to be involved is investing in education and capacity-building`’. 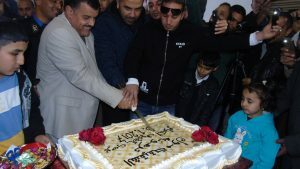 Tarhouna’s mayor Ayad Bey Ahmed opened the new mall and helped cut the celebratory cake. The municipality’s spokesman Mohamed Sayd said that 95 percent of the shops had already been leased. One local entrepreneur Mahmoud Al-Maghri, said that he believed that the mall would make a very positive contribution to Tarhouna’s economy, adding that he himself had rented three shops. Later this month he said, the town would host a Libyan business forum. He also expected that an entertainment complex, Sharshara would shortly be opening on the edge of Tarhouna.